Provence Rosé is just so hot right now! The pink wave from Provence just keeps on swelling, which is funny given that for many years in London, Stephen and I had to indulge our Rosé passion in the comfort of our own home. We never really got served any at dinner parties and bars would only have a random selection of Pink Pinot Grigio and the Californian blush stuff, which inevitably meant mediocre taste and a sore head. The US and the UK are leading a fantastic Provence Rosé success story, having increased consumption nearly 6 fold and more than 3 fold respectively over the last 5 years. I am not sure whether there’s another premium wine region that has managed to pull off stunning growth like that, most of it against a more than ropey economic backdrop. 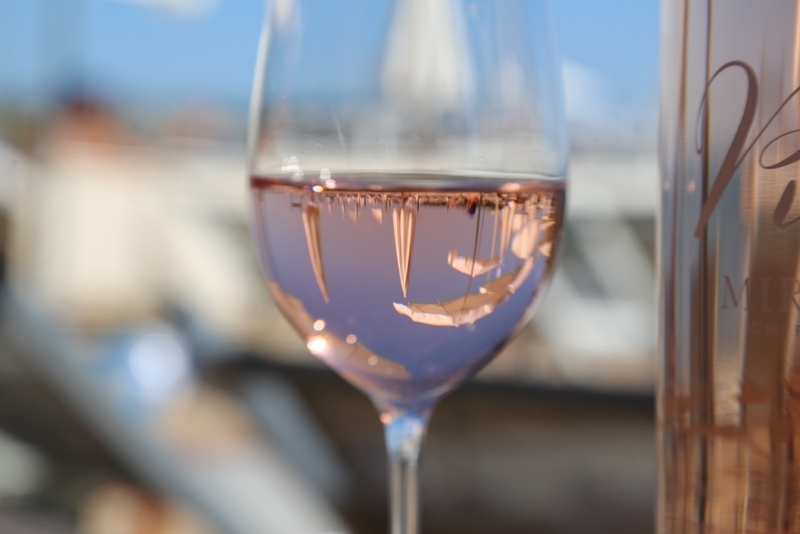 Why I hear you ask, is Provence Rosé having such a moment? Well, there’s not just one answer to that question, but here are some major contributing factors that I can see from my vantage point as a new player in this bustling market. Firstly Provence has been a long time coming and private wineries as well as cooperatives have carried out a sea of change in terms of renovations and have been steadily climbing up the quality ladder over the last 20 years. In fact today’s Rosé has very little in common with what we used to buy on holidays in the South of France and has become a really good, quaffable wine. Which elegantly leads to the second question, which is “why is this pink juice just so damn quaffable”? Basically the reason is that Provence rosé is made from delicious red grapes which are harvested at the optimum time, rather than how it was done previously- either when the Syndicate told you, or when it was possible and convenient in a busy agricultural calendar. The bit that makes us want to keep drinking it, rather than feeling slightly nauseous after two glasses, is that while the wine is rich in fruit aromatics it’s low in sugar and has good acidity. A kind of perfect storm of yumminess that’s like no other wine out there and it’s good with almost all types of food. 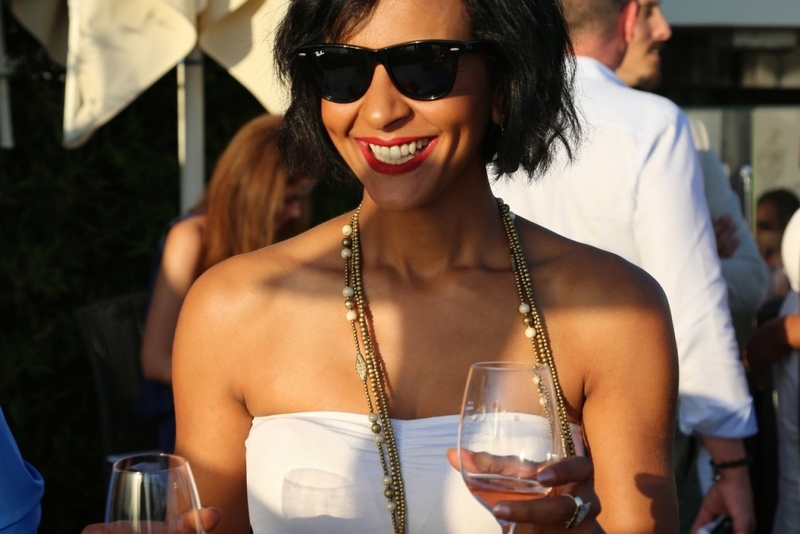 It’s also very nice to see that dry Rosé is somewhat losing it’s stigma of being a woman’s drink, the so called Brosé movement that swept the US and the UK during last summer meant that social media was awash with selfies of sixpacks and chilled glasses of pink wine. The same can be said for the seasonal peak and trough in Rosé consumption, which is beginning to look more like a rolling hill than the Matterhorn. People are really beginning to drink Rosé almost all year round and are just giving in to temptation when the fancy takes them, even outside of BBQ season. Both trends have long been the case in this neck of the woods; in Provence, Rosé is completely gender blind and is just seen as another colour of wine and down here we drink it more or less all year. There’s also a more general trend to eat qualitatively well, but in a cool and unstuffy way. The stiff, sit down, regimented meal is becoming a bit of a thing of the past and Rosé just works so well with relaxed eating and is an uncomplicated yet high quality drink. 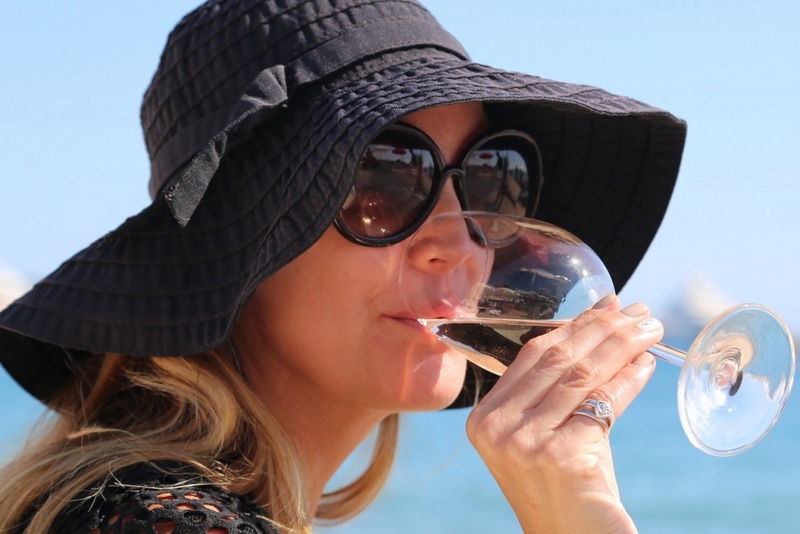 Like champagne most people love it and don’t feel threatened to chose it- good brands are easy to find and the high quality of Provence overall helps to take the sting out of the moment of taking your pick. On top of it all you also won’t have to do complex wine or varietal talk, which makes it all the more accessible. Some other factors come into play of course, like celebrity endorsement, be that from Brad and Angelina, who have bought Chateau Miraval with serious commercial ambitions, to Jeremy Clarkson confessing his love for the Bamford’s own Chateau Léoube. And bien sûr every self-respecting rapper has been photographed with a glass of Whispering Angel at Club 55 in St Tropez. 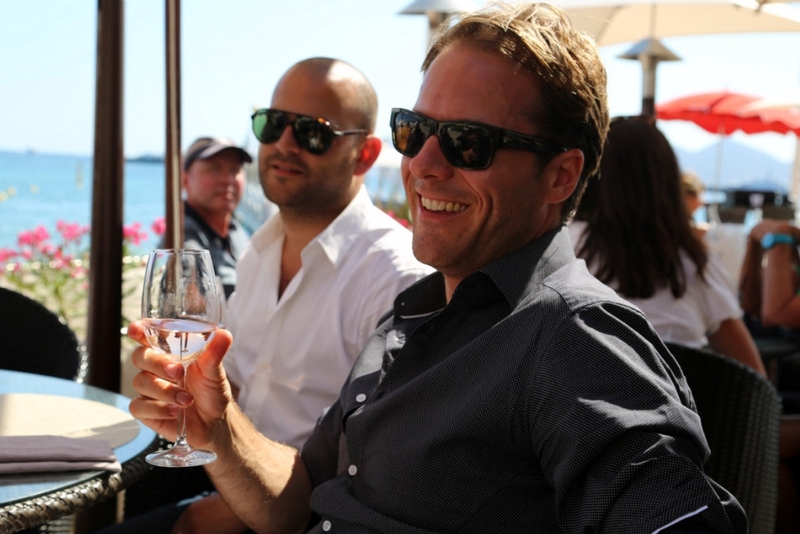 It’s helpful to have so many people with big names enticing others out there to give Provence Rosé a go. Once tasted there’s often no going back to other pink. Social Media has been a huge support network for Provence wine, as the place is not just a great location to grow grapes, but also so nice to look at. It means that we’ve all been able to show our audiences where these lovely wines come from and help them feel more connected to the region. So on balance I am glad that our passion for Provence prevailed, we came here at the right time, not just to make a really good wine, but also to catch the groundswell that was just building in favour of wines from the area. Which is why we do a lot to support the place that has given us such an amazing product and are working hard to get a new audience to try these delicious and elegant, yet unpretentious wines.